Keep it chill with Thermaxx Cold Insulation Jackets! 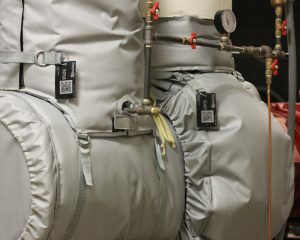 Thermaxx Cold Insulation Jackets keep components and pipes cold, saving energy and reducing condensation-related issues. Cold insulation jackets prevent energy waste associated with external heat sources warming your chilled pipes. Thermaxx Jackets are also made to prevent pipe sweating, which helps prevent corrosion and dangerous wet areas. These jackets are easily removed, allowing for top-notch insulation that doesn’t interfere with regular maintenance. 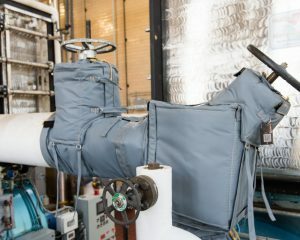 Ambient room temperatures can make keeping chilled pipes cold an expensive task. By installing cold insulation jackets, the air won’t affect your energy costs associated with keeping your pipes cool. The biggest factor affecting how much energy it takes to keep you pipes chilled is room temperature – the warmer the air temperature, the more energy it takes to keep your pipes similarly cool. By insulating your equipment with cold insulation, it will take less energy to keep your pipes similarly cool. Pipe sweating is caused by a large disparity between pipe temperature and ambient temperature. 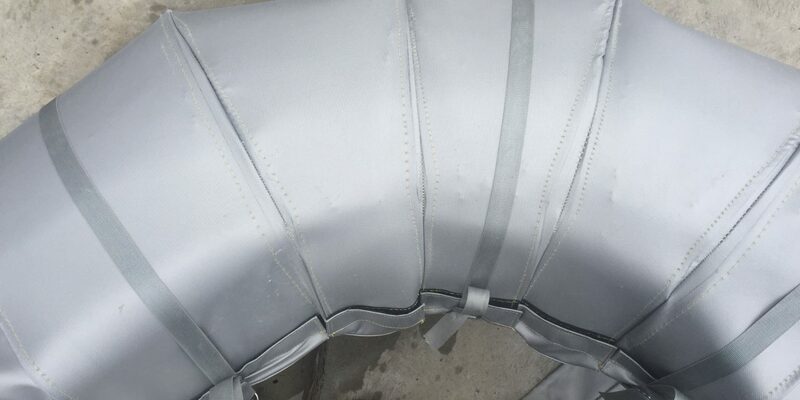 Water condenses on the pipe, which can be the cause of several problems, such as dangerous wet floors, damages to water sensitive equipment, or pipe corrosion. Corrosion under insulation (CUI) is caused when water inside insulation can’t escape and damages the equipment by eroding the metal. This can be caused by pipe sweating due to inefficient insulation or accidents that involve water leaking onto equipment. 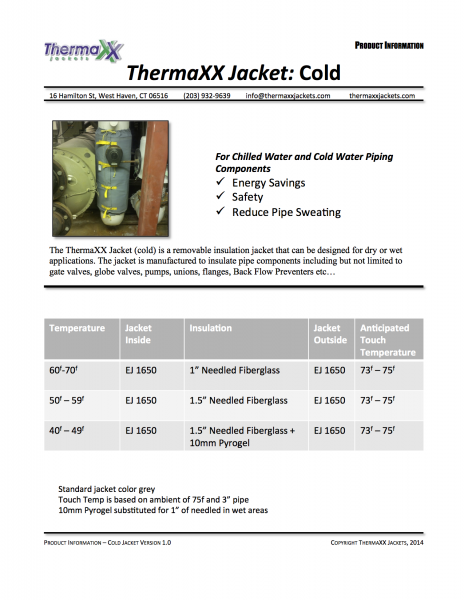 Thermaxx Jackets help prevent CUI by fitting snugly over your equipment to prevent pipe sweating. Should water get into your insulation, our cold insulation jackets have vents built in to allow water to escape before any damage is done. 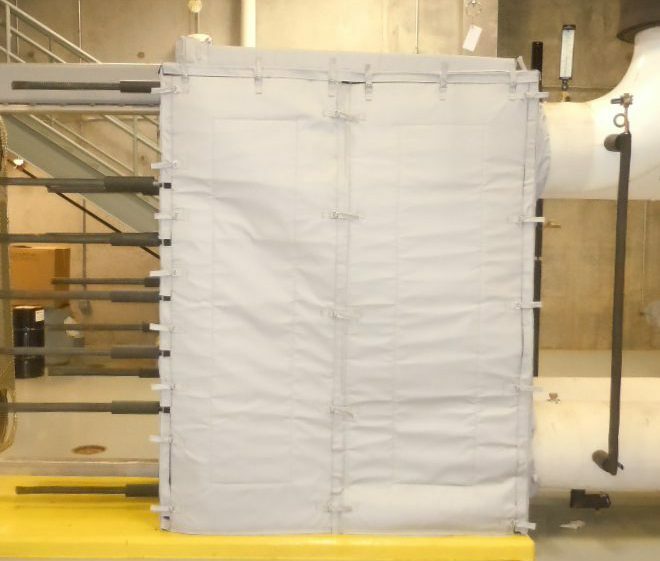 In addition to drainage, Thermaxx removable insulation blankets can be removed easily for routine inspection of the piping system. Wet floors can be hazardous, especially if they’re concrete. Water consistently dripping onto an area, such as happens with uninsulated pipes, can cause algae or mold to grow in the constant moisture. This can cause health concerns, and make dangerous wet areas even more slippery. Cold pipe insulation will prevent the condensation that causes these problems. Thermaxx Jackets are made to be easily removed and to replace, ensuring your energy efficiency will not get in the way of regular maintenance. Our quality jackets are made with a hook and loop straps, or 1 inch buckles and D-rings. This keeps the jacket securely in place, while making them easy to remove. 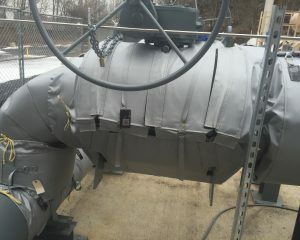 Our jackets are also sometimes built with vents and water drainage solutions to help prevent corrosion under insulation. Thermaxx Jackets are made with high-quality and state of the art materials by USA manufactures. 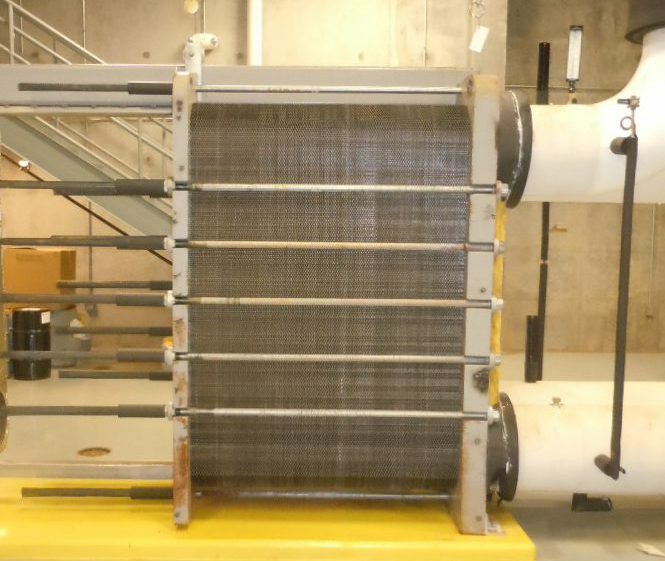 We use heat resistant thread and jacketing to ensure the jacket can handle high temperatures, and use fully hydrophobic aerogel insulation or Glass mat, type E needled fiber as insulation. We then sew the components together, ensuring the insulation interior is actively sewn into to jacket to prevent shifting. The result is a high quality durable jacket, able to withstand extreme temperatures and removal without losing quality or functionality. Like all Thermaxx Jackets, our cold insulation jackets are backed by a 5 year warranty – the best in the business. So when we say “high quality”, you know we mean it. Got questions? 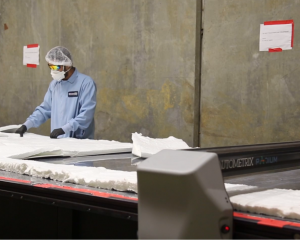 We’re happy to answer any questions you have about our cold insulation solutions.